We had a great time presenting "Grits and Gravy" during the last weekend in April, 2017. This year's show, "Virgil's Wedding" will be the weekend of Aprl 13 - 15, 2018. Reserve your seat for this year's RLMC Dinner Theater, "Virgil's Wedding", today by contacting the church office 717-694-3490, online at http://www.richfieldlife.com/_forms/view/27831, or, on the sign up sheet in the foyer or Welcome Center beginning this Sunday. Check out Saturday's matinee - Dessert Only with a reduced price. Also, remember that this is a Friday/Saturday/SUNDAY event this year. Stand aside Abner Yokum and Daisy Mae for Virgil and Margaret from Lickskillit will steal your heart and have you rolling in the aisle. Everyone is invited to the social clash of the century as Ms. Delanie, a high-end wedding planner, is hired to direct a simple ceremony for two of Lickskillit's favorite lovebirds: Virgil and Margaret. But it's a wild romp before the nuptials are exchanged. The bride doubts the groom's love, the in-laws are decorating the church with Christmas garland, the preacher arrives late with notes for a funeral service, and the groom ends up getting stuck in the best man's lizard trap the night before the wedding. The mayhem begins the moment Margaret thinks she's promised her love to the wrong man (her mama always told her to marry "Mr. Right") when she's introduced to Ms. Delanie's boss, Mr. Wright. Ms. Delanie must also deal with a lost groom and a host of relatives who refuse to cooperate with the fancy city lady. 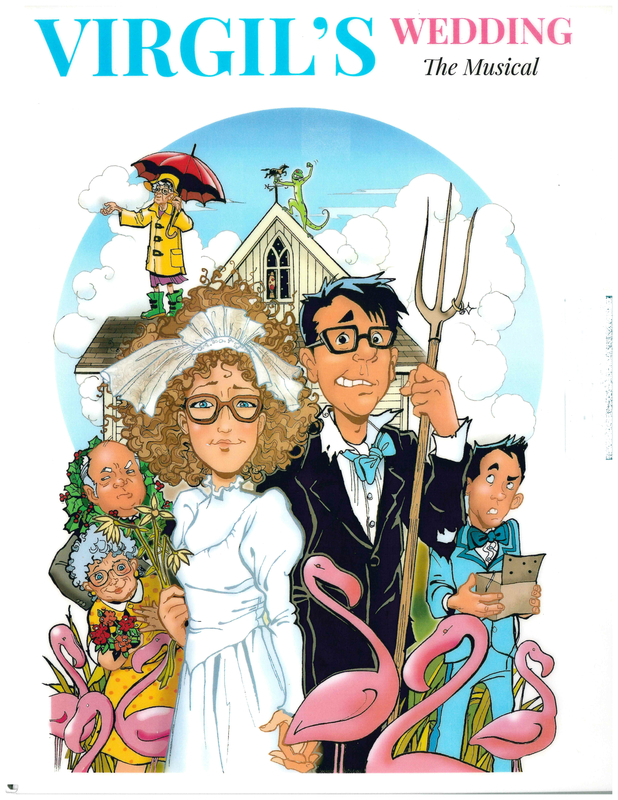 Your toes will tap and your funny bone will collapse when Virgil's Wedding: The Musical hits your stage this year.